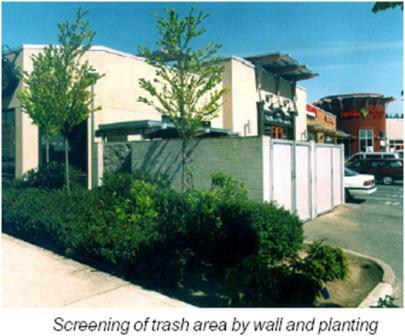 Screening and impact abatement is required where necessary to reduce the impact of service, storage, loading, and trash areas. 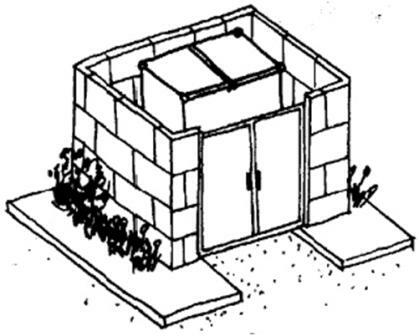 A six-foot high solid masonry wall or sight-obscuring fence five feet inside the property line with an L2 see-through buffer between the fence and the property line. A five-foot tall earth berm planted with L3 open area landscaping. Screening shall comply with the clear view triangle requirements defined in SMC 17C.110.230(G) for Residential Zones, SMC 17C.120.310(E) for Commercial Zones, SMC 17C.122.135(E) for Center and Corridor Zones, SMC 17C.124.310(E) for Downtown Zones, and SMC 17C.130.310(E) for Industrial Zones. The director of engineering services may further limit the height of plantings, structures, and other site development features within the clear view triangle or may expand the size of the clear view triangle as conditions warrant. 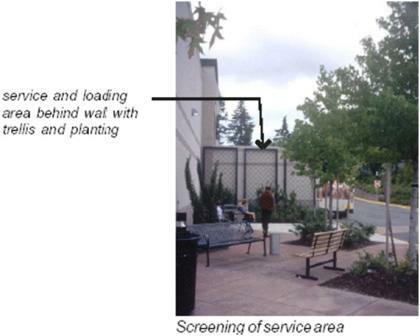 In heavy industrial zones, garbage collection, loading, and outdoor storage areas that are abutting or across the street from residential zones are subject to all of the requirements of this section. In the industrial zones, all uses in the commercial categories area subject to the standards for uses in the general commercial zone.